This Raptor katana Unokubi-Zukur is based on the shaped of the Nagamaki, a fine type of sword that was very popular between the 12th and 14th century AD. Hanweis Raptor Series are developed by katana master James Williams. These samurai swords are perfect for cutting tests. 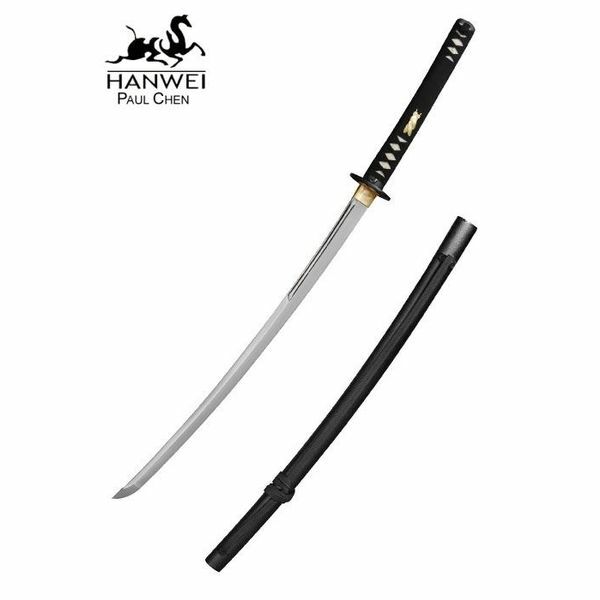 This katana has a 5160 carbon steel blade with a hardness of 57 HRC. The grip is wrapped round with shagreen and rough woven cotton. The blade and grip are handmade and manually finished. 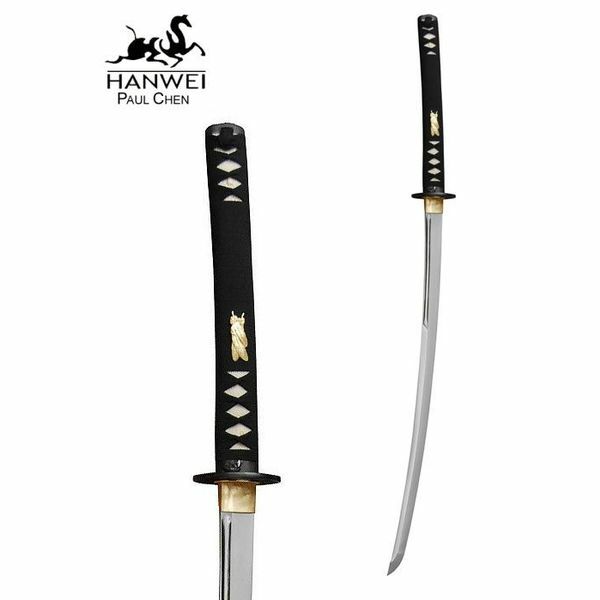 This katana is delivered including wooden scabbard. 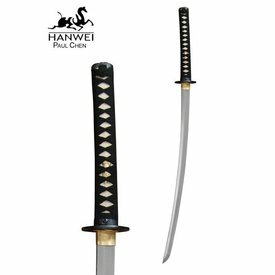 This katana is 110,5 cm long with a 72,40 cm blade and weighs 1220 grams.